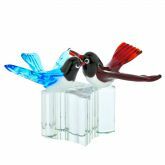 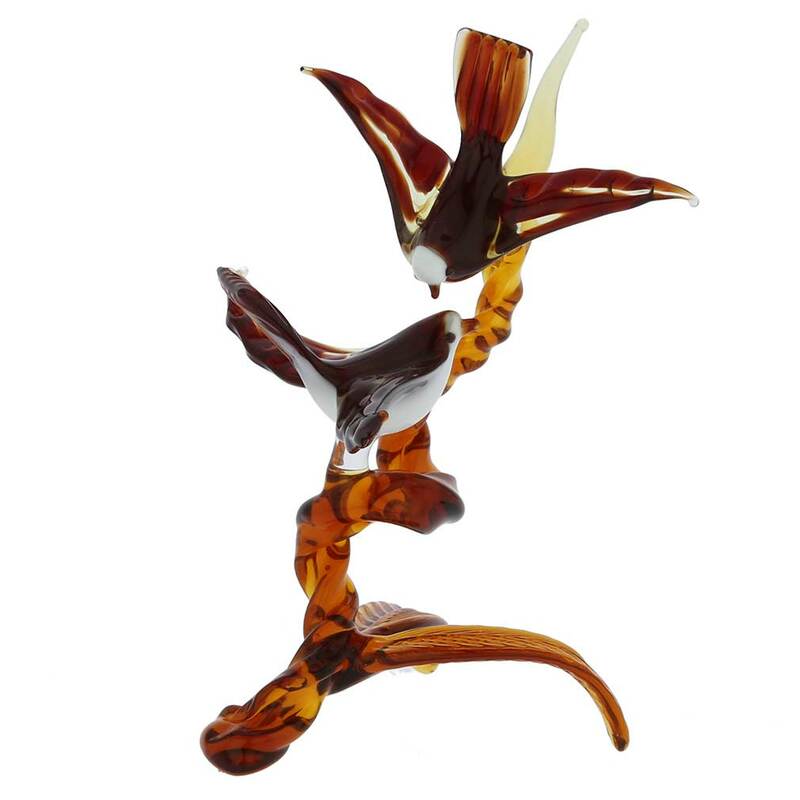 Instantly transport yourself to Venice with this beautiful Murano Glass bird sculpture showcasing the mastery and artistic talent of Murano Glass masters. 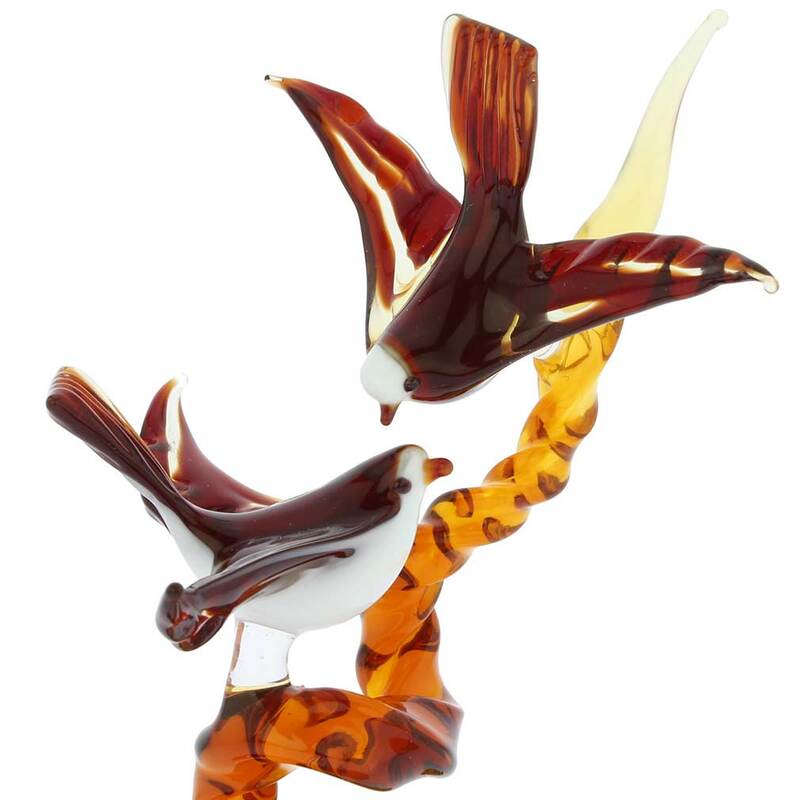 In this wonderful representation of timeless romance, two charming Murano doves with their outstretched bright red wings lean close to each other on an exquisite amber-colored spiraling tree branch. 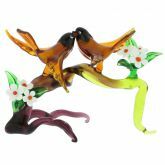 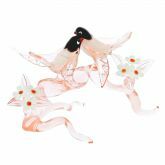 A symbol of peace and love, this pair of Venetian doves makes a great gift to your family, friends, or loved ones, especially perfect for weddings, anniversaries, birthdays, Mother's Day or Valentine's Day. 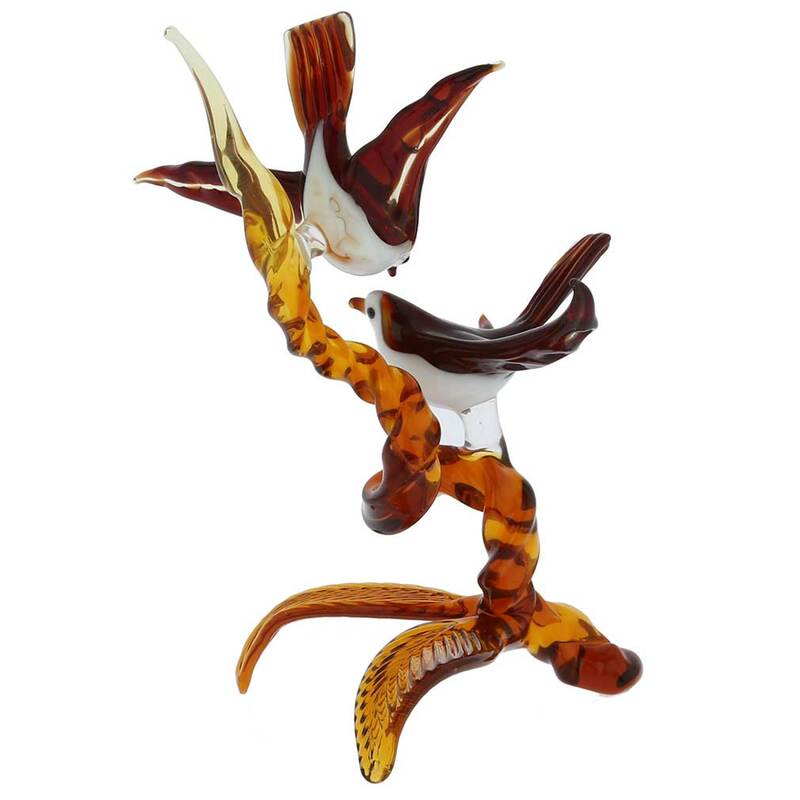 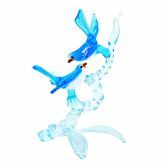 The most elegant Murano Glass sculptures and figurines take hours of meticulous work and all the talent and skill that Murano Glass masters possess. 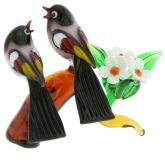 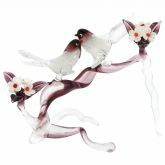 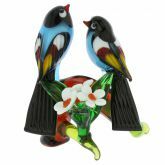 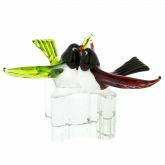 Murano Glass Birds On Tree Branch figurine may be small or large but it is always elaborate. 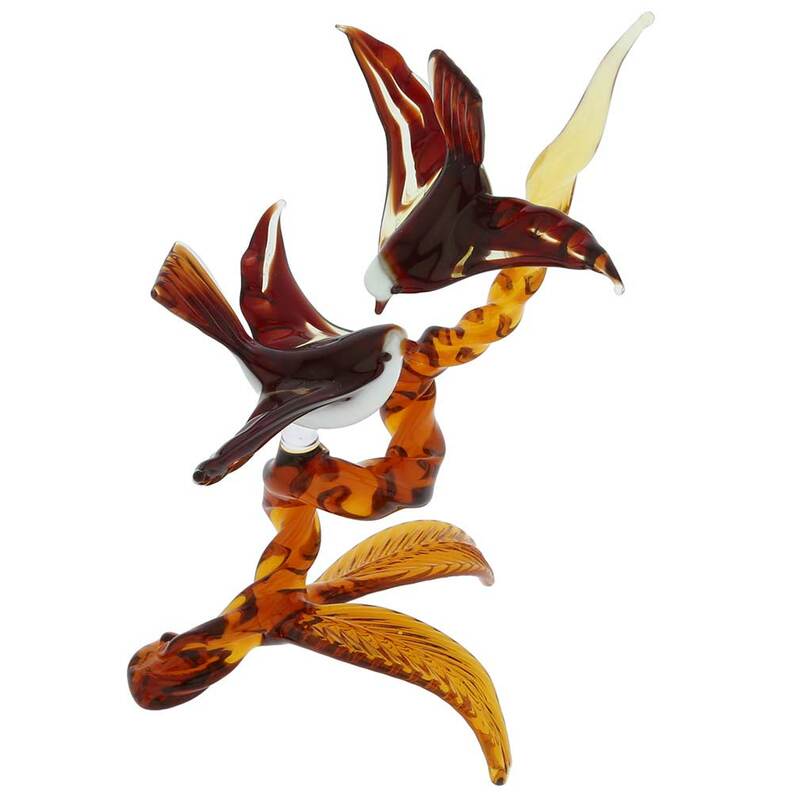 The masters create translucent branches one by one twisting them into elegant forms and make exotic colorful birds with very basic instruments. 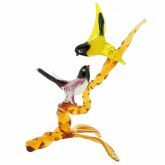 Working under the flame using lampworking technique, the master, as if by magic, creates each bird by manipulating two glass canes, and gives each one a perfect shape and rich colors. 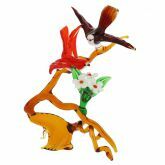 The birds are then put onto the branches, making a paradise-worthy tree. 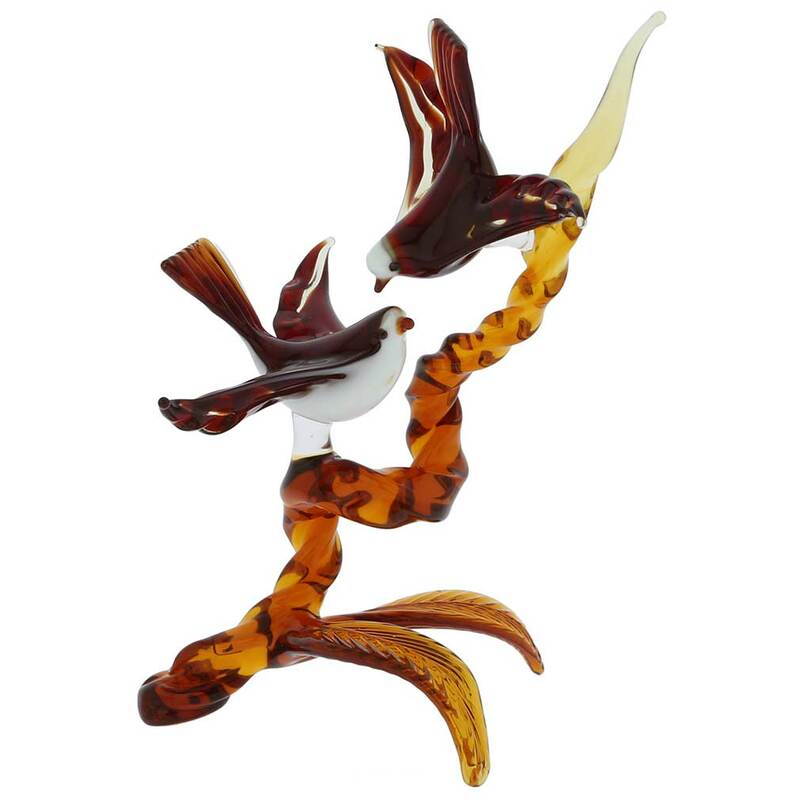 This is where the talent of Murano Glass artisans shines bright and the result of their hard work is an incredible piece of art that will warm up any home.